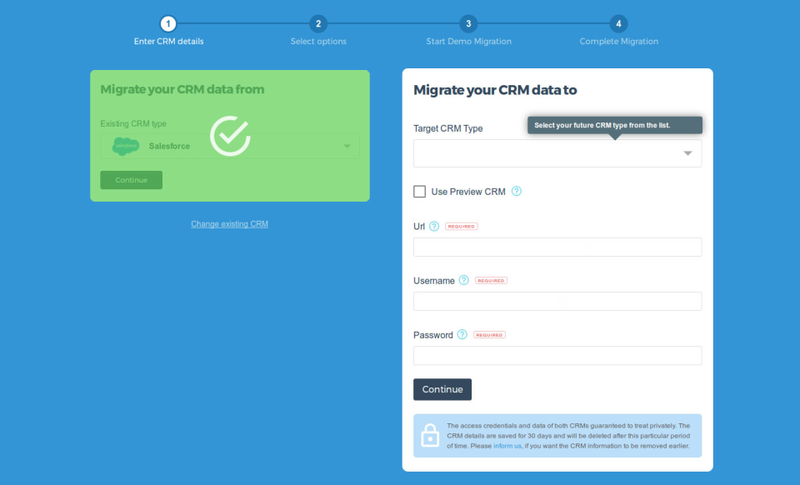 Data2CRM.Migration is an automated migration service, developed for an accurate and secure CRM data import among various platforms. 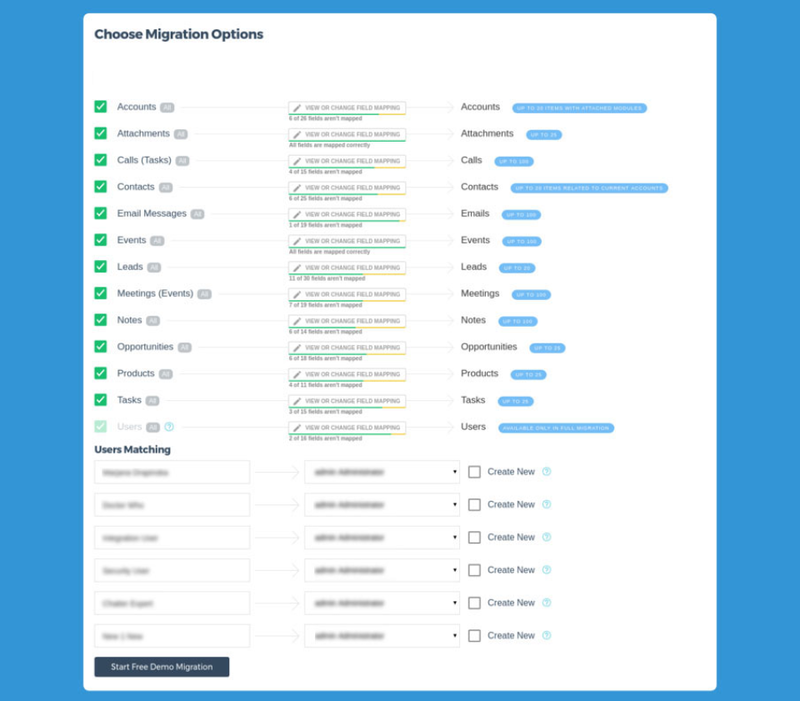 You may easily migrate your business information (tags,leads, accounts, contacts, opportunities, tasks, attachments, notes,etc.) 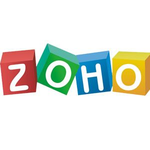 across Salesforce, Insightly, Hubspot CRM, Vtiger, SugarCRM, Bitrix24, Zoho, SuiteCRM, Highrise, PipelineDeals, bpm'online, Microsoft Dynamics and more. 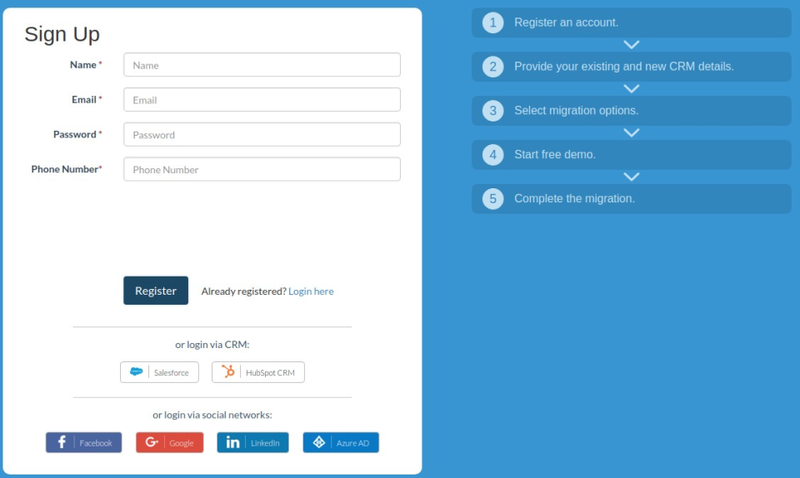 Start FREE DEMO Migration >>> http://app.data2crm.com and achieve the desired results.